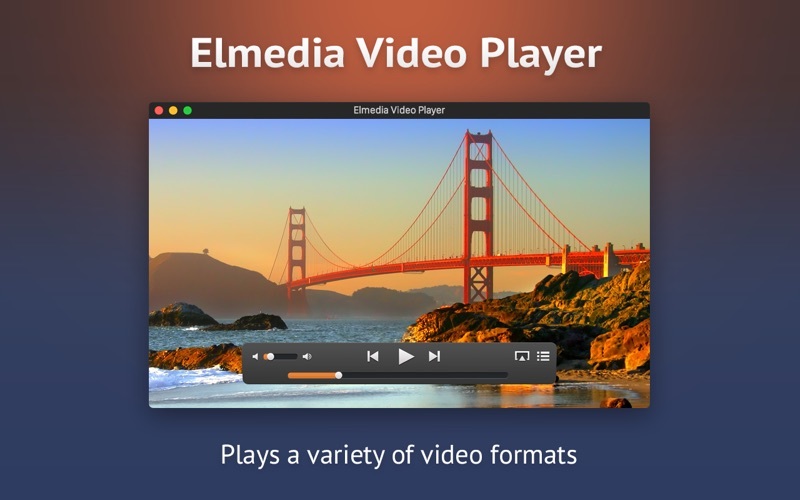 Elmedia Player is a free media player for Mac that supports various video and audio formats, including FLV, SWF, MP4, AVI, MOV, MP4, DAT, MP3, etc. The app features built-in web browser that allows you to watch online videos directly from the app, while Open Online Video lets you to do it without noisy ads. There is plenty Elmedia offers to enhance your viewing experience: 10-band equalizer to shape your audio tone, video aspect ratio change to fit image into screen, optimize your video viewing by adjusting playback speed, on-screen display for actions such as pausing playback. Added: new menu items for certain functions in the Dock (play, pause, next, previous, mute, repeat, shuffle). Added: an ability to adjust the volume with the arrow (↑ ↓) buttons. Fixed: the "Disable screensaver while in full-screen mode" option now works only when the file is played. Next story Studies 1.2.1 – Flashcards for serious students (was Mental Case). Previous story CalendarPro for Google 3.0.2 – Google Calendar application. IINA 0.0.14.1 – Modern video player (beta).